That’s right, we’re back by popular demand with the SOR Micro Series! Following up on the first collection of highly acclaimed top loops of SOR Hats & Tops Vol.1, Oliver Schmitt aka Sounds of Revolution is back with a premium collection of even more, undiscovered and pristine loops to make your new tune move the masses! Suitable for all kinds of electronic music genres (and even more for the creative tinkerers around the world), processed with the latest’n’greatest music gear, in conjunction with a highly skilled pro-audio engineer. Let these loops guide your tune, or simply fill “empty space”, use it pure or completely destroy it with your favorite fx plugins – there is no limit. 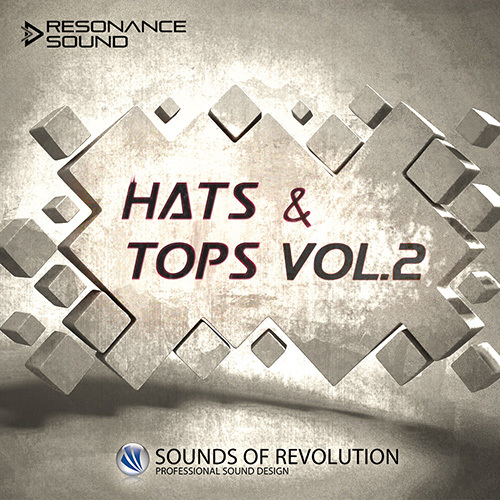 PLEASE NOTE: ‘SOR Hats & Tops Vol.2’ demo contains a few Bass- & Synthloops not included in this pack that are for demonstration purposes only.